I love slow roasting fish. Not only is it quick and easy, but it also makes an incredibly tender and never dry piece of fish. Plus, I love experimenting with different combinations of herbs and spices when baking, always brings out different flavors! For this recipe, I used fresh dill and lemon. 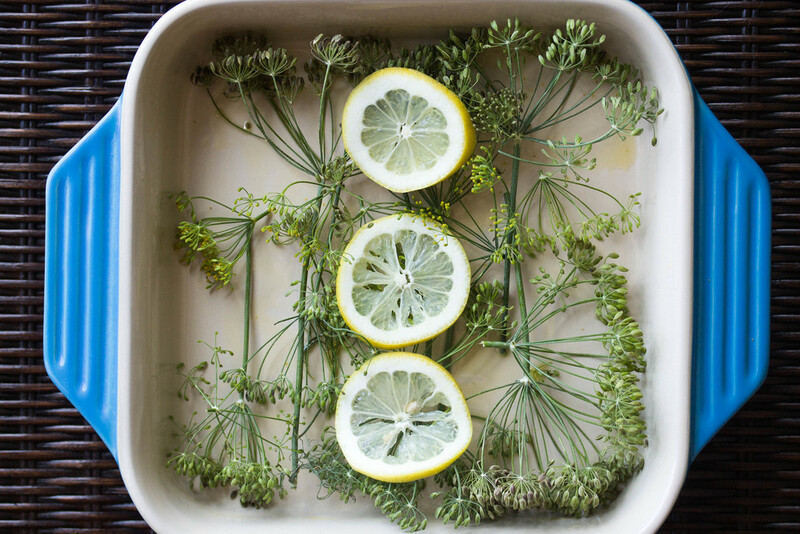 Lightly grease the bottom of a baking dish with olive oil and cover with dill and a few lemon slices (or any blend of herbs you'd like). Place the fish on top of the herbs and lightly coat with olive oil and season with salt, pepper, and a pinch of lemon zest. Bake for 20-30 minutes or until the flesh begins to separate from the skin. Garnish with a little extra sea salt, pepper, and olive oil.